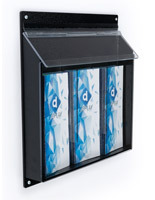 2" Deep Pocket Stores Many Cards. 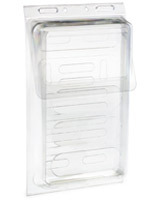 Easy Open Hinged Lid Keeps Contents Dry. 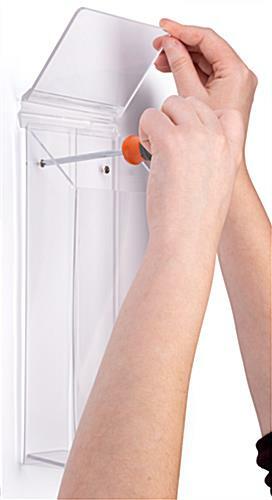 Pre-drilled Holds in Plastic Allow for Easy Haning of Pocket. 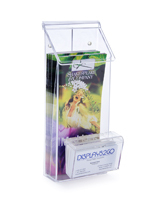 This plastic outdoor brochure box is made to hold pamphlets that are up to 4.25” wide. 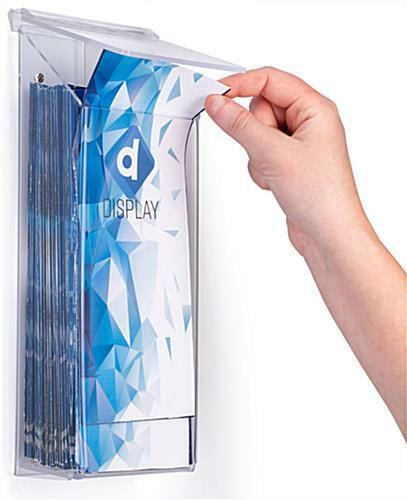 The acrylic display comes with a lid that overlaps the dispenser in order to help materials placed inside stay dry. 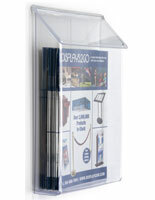 The brochure box with sloping lid measures 8.5” high, to house ballot cards, customer surveys, or bank envelopes. 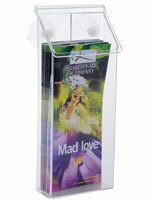 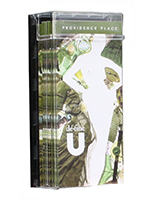 Literature holders with hinged lids are easy to open and promote easy access to the display for customers. 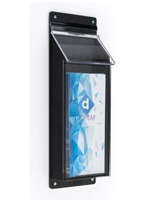 The box is made of clear acrylic so that patrons can easily see what is placed inside the dispenser. 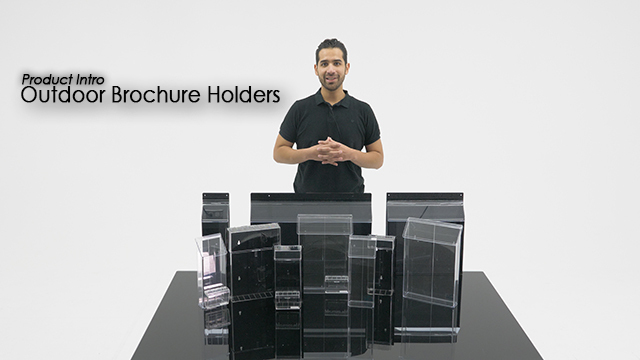 The literature holder comes with pre-drilled mounting holes so it can be easily mounted to walls with customer-provided hardware.